How Do I Prove Damages In a Catastrophic Injury Case? Past medical expenses and lost income – The financial losses that you have already incurred are often the easiest type of damages to prove in a personal injury case. For example, medical bills can concretely indicate how much your treatment cost and paystubs and timesheets can show how much work and income you lost. However, if the other party questions whether all of your treatments or time off work were necessary, you may need a medical or occupational expert to testify regarding your injuries. Additionally, if the opposing party disputes the severity or cause of your injury, your doctor may have to testify to your diagnosis. Future medical costs and lost income – Proving the estimated losses you will likely incur in the future due to your injuries is slightly more complex. A medical professional can testify to your prognosis and the necessary future treatment for your recovery, as well as the usual cost of those treatments. If you are unable to return to your previous job, an occupational expert can assess your work abilities—if any—to determine your future earning capabilities. This can then be used by economic experts who can use inflation2 and other calculations to determine your future lost earning ability, income, benefits, and more. Intangible losses – Catastrophic injuries can often cause extensive pain and suffering, permanent disabilities, impairments, disfigurement, emotional issues, and more. 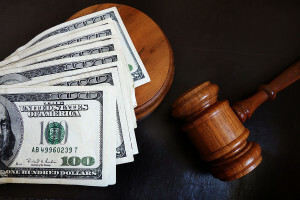 Fortunately, the law provides for compensation to victims for such intangible losses, which are known as general damages. The evidence to prove such intangible losses can vary widely and can include expert testimony, personal notes and journals, testimony from close family or friends regarding your physical and emotional state, and more. It is important to have a California accident attorney on your side who knows how to accurately calculate damages to ensure that you receive the full amount you deserve following a catastrophic injury.